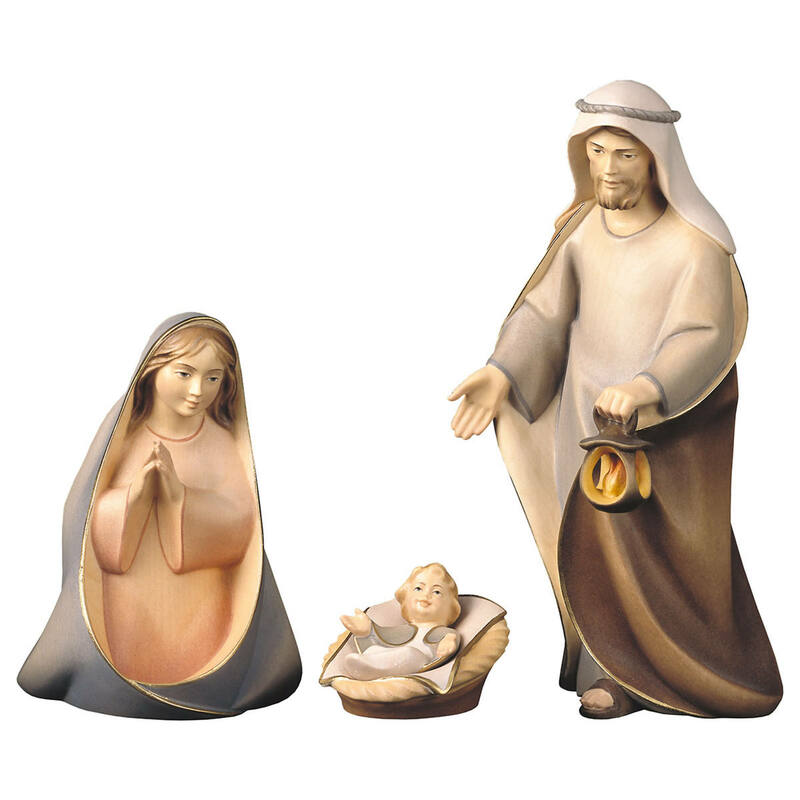 The Tavella nativity, designed by Bernardi, is one of the larger crib ensembles, with typically oriental characteristics of the figures. 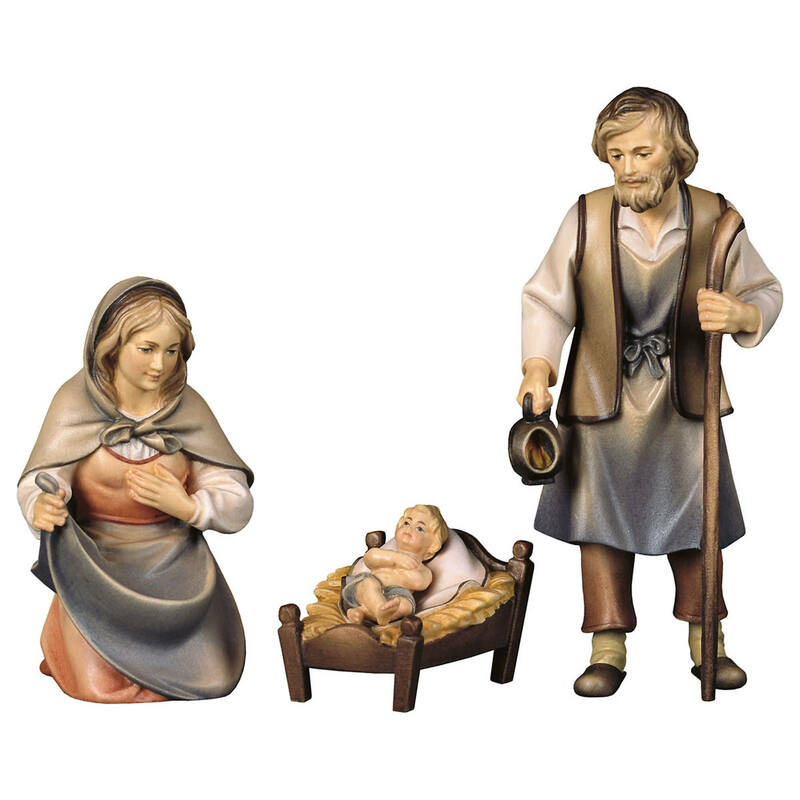 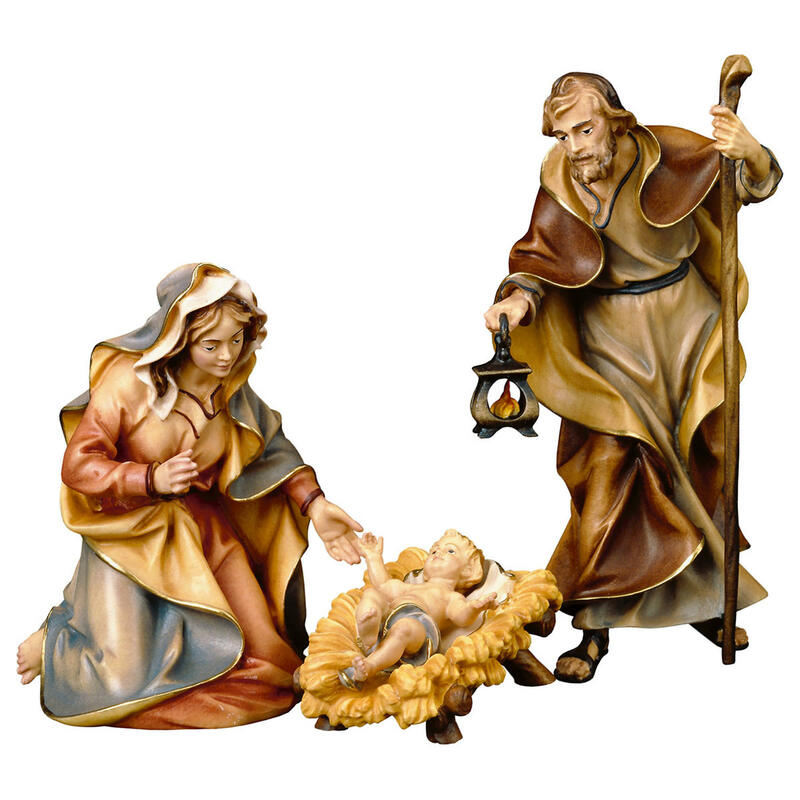 The holy family, showing traditional postures, is visited by many Shepherds, some of them playing instruments, some holding a lamb or offering bread. 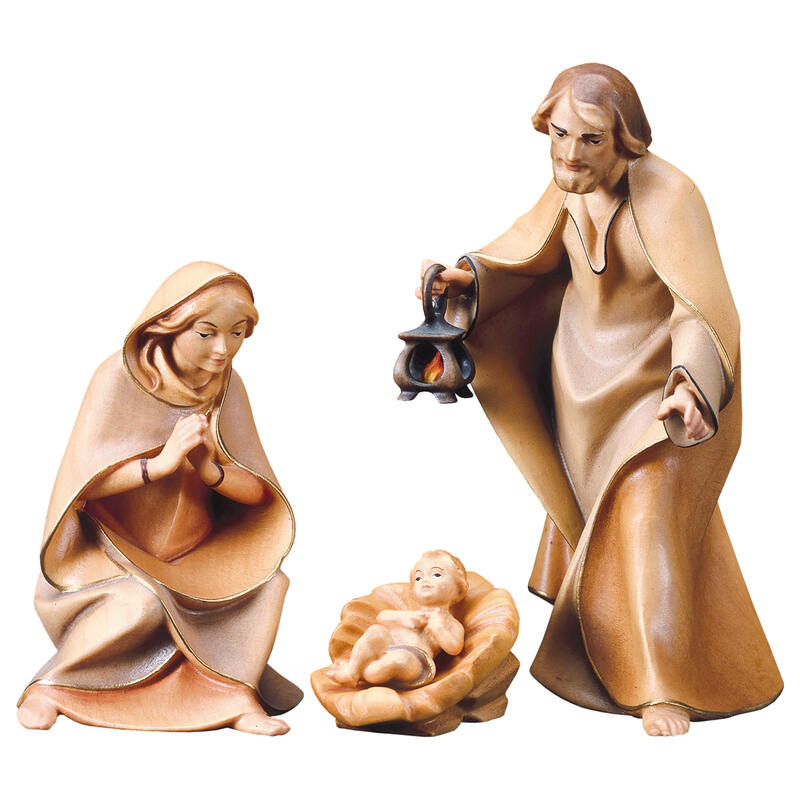 There are also water carriers, a girl, a page and a selection of different angels which can be assembled to a fine, atmospheric scenery.